Employees find reviews to be frustrating and a waste of time; even anxiety provoking in some cases. Employers see performance reviews as just another item on their compliance checklist. 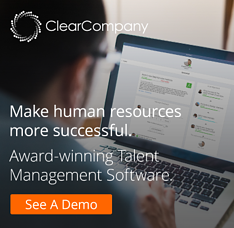 We want to change the way employers and employees alike, are viewing the employee review process. Employee reviews are a compliance issue for us all; they have to get done. So how can managers turn this ship around when employees and your management team already have a bad taste in their mouths from employee reviews? Learn the top 10 performance review mistakes HR & managers make plus how to fix them! Have you ever entered what you thought would be a conversation, just to find you were only being spoken to? It’s not engaging, it’s not productive and it’s certainly frustrating. 40% of employees cite reviews being one-sided as the reason they dislike the employee review process (Tweet this Stat). You have to make employee performance reviews a dialogue, a two-way conversation from which both parties can benefit, share and learn. How to Fix This: Effective employee reviews aren’t only given to employees; reviews are something that leaders and employees do together. Give employees the chance to provide upward feedback in a conversational dialogue, rather than a formal review setup, that gives managers and employees great insight into each perspective. Download our flowchart to help get the dialogue going! We’ve seen our fair share of bad performance reviews, and they almost all have a commonality; they highlight issues, but don’t give any solution, help or guidance. “You’re not doing a great a job, and we will revisit this in 6 months”, doesn’t benefit anyone. How to Fix This: Reconsider why the employee is struggling and see if they’re being evaluated on fair criteria. If newer employees or struggling employees are being evaluated on the same benchmarks as top performers, it can be discouraging to require steady growth with unrealistic expectations. Of most importance is to offer real performance solutions that are actually attainable for the employee. Remember growth and performance are not the same thing. One way to easily fix this is by setting SMART performance goals! BONUS DOWNLOAD: Get the Full Best Practices Guide on Performance Goals! During the review process, you will be gathering a lot of information that will require feedback, dialogue and action. If these things don’t happen right away, employees are left feeling like they weren’t heard and the entire process was a royal waste of time. In fact, 71% of surveyed employees expect feedback from their review as soon as possible (Tweet this Stat). How to Fix This: Following up with the employee after the review to recap what was discussed is beneficial to both the reviewer and the reviewee. Often times, the performance review can be a little nerve-wracking which can cause certain action items to be missed. Send out a follow up account of the review, what was discussed, what goals are set and the next plan of action. It might seem like this is something that the employee should already be responsible for, but think of it as a way of formalizing the review and officially passing the baton over to the employee. If, in fact, the employee takes no further action, you will also have a written confirmation with details of the review and what you provided them to improve their performance. In the long run, it’s beneficial to management to look back on whether the employee really just isn’t putting the work in to improve themselves. How many of these performance review mistakes do you make? Check the list and learn how to improve! Currently, 22% of employees believe that performance reviews are simply conducted as a matter of keeping up with compliance (Tweet this Stat). Yes, reviews are a compliance issue, but that doesn’t mean they should be treated as just another checklist item. Reviews can either be a waste of time, or they can be a powerful tool for motivation; it’s up to you to decide. How to Fix This: Going into the performance review process with a single mindset of compliance is a quick way to let a great opportunity to improve efforts across the board slip through the cracks. If you’re struggling to get others on board and engaged in the review process, share these statistics on performance management you shouldn’t ignore! Performance reviews aren’t intended to be the annual “these are the areas you could improve in” meeting. Yes, issues need to be addressed and goals aligned, but be sure to also throw in plenty of positive feedback, establish their value to the company and always thank the employee for their time dedicated to the review process. How to Fix This: Remember to start feedback on a positive note to help balance negative feedback. Beginning with negative feedback immediately places the employee in defense mode, which makes it difficult for real progress to be made. Having a structured performance review process is a best practice because it can help you frame the conversation to make sure it starts off on positive notes before diving into the tougher conversations. You know those other dozen people that your review prospect works with? It turns out their opinions matter too! Peer reviews are vital in collecting a well-rounded and accurate picture of each employee’s true day-to-day performance. No manager is working hands on, 24/7. In fact, most managers spend less than 6 hours per week working directly with individual employees. How to Fix This: Peer reviews give employees a chance to provide praise to their peers, which 76% of employees say is extremely motivating. It also gives employees a chance to get feedback from those they work with on a day to day basis, making team productivity likely to increase since they can be more open and honest with each other on performance issues the team might be facing. Don’t forget the point of this process -to motivate, educate and appreciate employees. The current end result of reviews isn’t what it should be. 53% of employees don’t find performance reviews to be motivational (Tweet this Stat). However, there’s still hope! 90% of employees see positive feedback as motivational. Again, accentuate the positives and work on the issues; one without the other does not make for an effective review. Regardless of how well your team is performing, there are occasions when you need a little bit more productivity from each employee. With some communication and incentives, you can give employees the boost they need in order to stay motivated. Be careful, though, don’t push them beyond their limits for long periods of time or you risk burnout. You can squeeze more productivity out of existing employees, you just need to make sure you don’t take it too far. Let’s talk about your process now. How accurate is your current review process? Have you ever even considered that question? Probably not. 63% of employees don’t like reviews because they believe that they don’t truly represent their performance (Tweet this Stat). That’s a pretty big deal, considering that these reviews are part of the performance management process dependent on business outcomes. Part of creating accurate performance appraisals is using a method that actually measures performance in an unbiased way. Many turn to rating scales, with the tradition scale being exceeds, meets, needs improvement and so on. This leads to a “nicer” review rather than an “accurate” review. 22% of employees aren’t too keen on the review process because they don’t believe that it accounts for past work. Be sure to take the blinders off and concentrate on the big picture of performance. A great, or poor month isn’t what you should be focusing on. This is known as recency bias, and it happens when the person giving the performance review only focuses on recent performance leading up to the review. If recent performance is positive but past performance was negative, this can actually hurt the employee because they won’t get the feedback and guidance needed to fix past performance problems that are being pushed aside. Vice versa, this can also hurt the employee if they’ve had exceptional performance but just recently made a significant mistake, all of their hard work and success can go unnoticed. How to Fix This: Track employee performance continuously and implement a real-time employee feedback process that records ongoing performance. This way all incidents (wins and losses) are reported on, and the reviewer has a log to look back at and reference when it comes time to sit down for a formal performance review. Employees need to be left with feedback, goals, constructive criticism, options, accountability, training and development options. Any or all of these are ways to show your employees that they are valued. 70% of employees believe that the point of performance reviews is to help them grow and develop (Tweet this Stat). Are you hitting that mark? How to Fix This: Use performance data to identify specific performance trends of the individual. Show them where their strengths and weaknesses exist so they can build on what’s working for them and improve in areas that aren’t. Provide past performance review data to show how their performance has become a habit (either a positive habit or weak habit), then work together to generate ideas for training and development options. If your process isn’t as refined or effective as you know it could be, share this list with your management team. Don’t be just another company with just another compliance review. Start making your employee performance reviews matter today! Click here to learn more.